Safety procedures, work instructions and time management schedules are key administration tools used to help our business develop and benchmark. Qualified management and personnel make our business successful, and through our relationship with industry associations, we keep up to date with trends and new developments. Our qualified personnel and contractors produce quality work to fully comply with the Building Code of Practice. We take a proactive approach to Occupational Health and Safety, with risk management systems and safety procedures being part of our daily documentation. Our membership of Master Builders Australia & New Zealand and other relationships enable us to keep up to date with trends and new technology. We work closely with our clients to understand the service requirements for all our work. Recording, resolving and acting on customer service matters and conformance issues which are part of Harbusol’s continual improvement strategy. 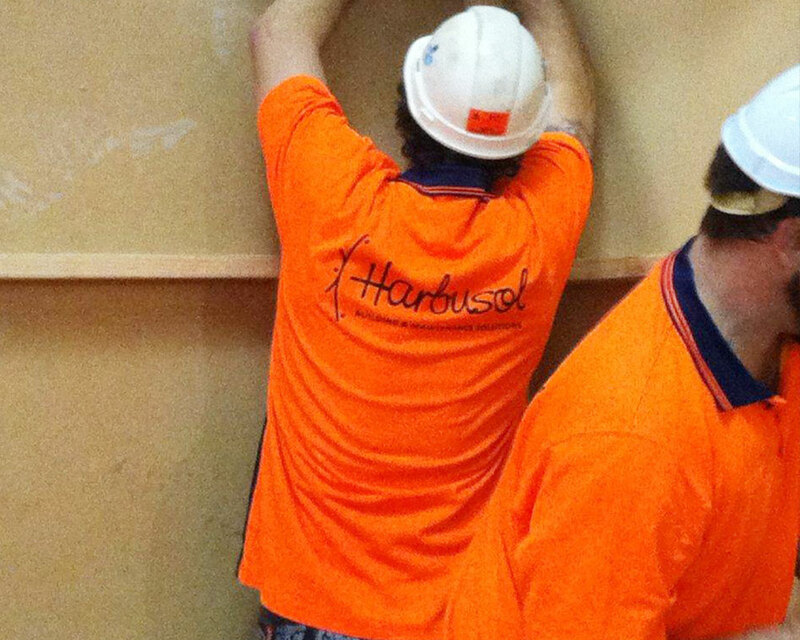 Harbusol endeavours to provide clients with the best service possible. To achieve this, the use of a conformance register and reports are available to our clients on request, feel free to ask for a copy. Job status reports can be provided tailored to suit the client’s needs. Every report is designed to provide our customers with the information they require to run their business. General reports include information that reflects the date the booking was made, the time and date the work was carried out, the cost of the job and the weekly spend by state. Specialised reporting can also be provided. National Workers Compensation for all staff and contractors.